Have you ever suffered through the process of multiple candidates advancing through several rounds of interviews, then even though the hiring manager felt they could move to an offer, there isn’t an interview team consensus to go there? Point 1: active candidate recruiting leaves a lot to chance, primarily quality-of-hire and time-to-fill, primarily since hiring managers will procrastinate as long as possible to find their “ideal” candidate. This waiting time is random, unless the supply of top people is greater than the demand, or the manager becomes pressured to decide. Of course, the longer the wait the more the cost. Point 2: The lack of a correct and agreed upon definition of pre-hire quality adds more randomness, time, wasted effort, and cost to the process. 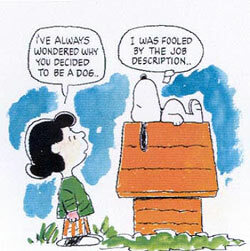 No one uses the job description for measuring quality and we’ve all had hiring managers confidently say “I’ll know the person when I see him.” This is a problem with passive candidate recruiting, too, but it’s more like playing the lottery when you’re only sourcing active candidates. Point 3: passive candidate recruiting emphasizing direct networking techniques, i.e., calling pre-qualified referred prospects, reduces the time to find prospects to a few days. The prospect possesses the “achiever” pattern. This indicates the person is in the top-third of his/her job class. While these are different for each job there are many obvious clues on the person’s resume or LinkedIn profile. Some clues include a series of industry or company awards and honors, a work-study fellowship, rapid progressions, special leadership roles, patents, whitepapers, or industry conference speaker. Define on-the-job success up front. We work with managers before starting a search, defining what the person must do to be considered successful. As part of this, convert every competency or “must have” into some measurable task. Prospects then must have a track record of accomplishments comparable to what’s described in these performance profiles. Skills, academics, industry, and experience are subordinated to the above two factors, with the only proviso being that the prospect has “enough” of these to accomplish the tasks listed in the performance profile. 2) Get the hiring manager to agree to have an exploratory phone conversation with every prospect the recruiter recommends. During this 30-40 minute session the hiring manager has three objectives. First, review the prospect’s profile and biggest accomplishments in comparison to the performance profile. Second, describe the job and its importance. Three, if appropriate, offer the prospect an opportunity to interview onsite. The recruiter might need to support this later effort. In my Golden Rule article on these pages a few weeks ago, I described how to produce a slate of highly-qualified passive prospects in 72 hours using LinkedIn Recruiter, so I won’t repeat them here. However there are some big points worth highlighting again. While it’s easy to identify possible prospects, this isn’t the objective. With LinkedIn Recruiter this can be done in 30 minutes. Instead, the recruiter must personally contact these people, qualify the person, and get the prospect to agree to the exploratory call. The only way you’ll make the 72-hour target is if 80% of your outbound calls are to pre-qualified warm leads. This means that most of your 72 hours (i.e., three working days) must be networking calls, not cold calls. There is not a single researcher or sourcer who ever worked in my search firm for more than three months who didn’t become exceptional at this. The Golden Rule article describes how to do this using LinkedIn Recruiter. Recruiting leaders need to track some metrics to ensure every recruiter/sourcer is hitting their targets. Specifically: warm referrals per call, warm call to cold call ratio, quality-of-prospect per call, hiring manager conversion from exploratory call to onsite interview. These metrics have to be in real time (daily tracking) in order to implement the necessary training and follow-up to ensure the metrics are achieved. Managing the top of the sourcing-recruiting-hiring funnel this way will go a long way toward achieving the recruiting performance trifecta of maximum quality, minimum time to fill and lowest cost. In future articles I’ll describe how to complete the task of getting these high-quality prospects hired at reasonable compensation levels. In my mind the key message here is that by engaging hiring managers in the process and defining pre-hire quality, you force hiring managers into a decision-making process, rather than allowing them to endlessly wait for their “ideal” candidate to show up. Shortening the time to fill this way by defining quality also reduces cost, so all of the big three metrics are optimized using the same approach. Recruiters are not let off the hook here, though. Networking is the key to passive candidate recruiting. Calling pre-qualified warm leads is the only way to take the randomness out of the active candidate “post-and-pray” sourcing approach or the “dial for dollars” passive candidate technique used by most corporate recruiters. From an intellectual standpoint, the real reason all of this works is that you’ve made quality and time the primary drivers of the process, rather than secondary results of other process changes. Too many companies start with reducing cost as their primary emphasis hoping quality and time will improve as a result. This is comparable to a dog chasing its tail. Maybe it’s time to switch dogs.